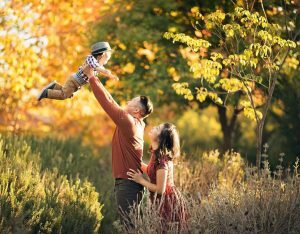 Summer is just about here and kids have all graduated and probably anxious to enjoy their vacation. 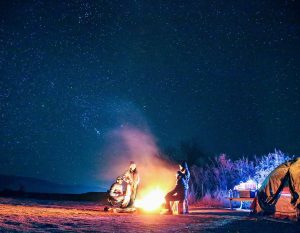 I hope everyone also has plans for this summer and not waste it! 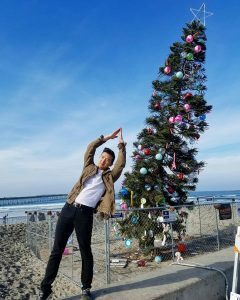 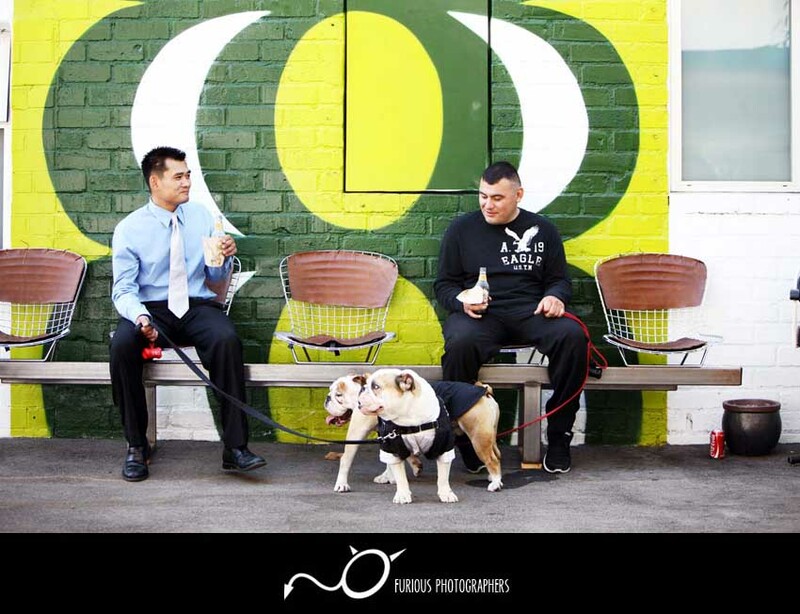 Los Angeles is warming up nicely and we finally get to put our jackets and winter clothing away. 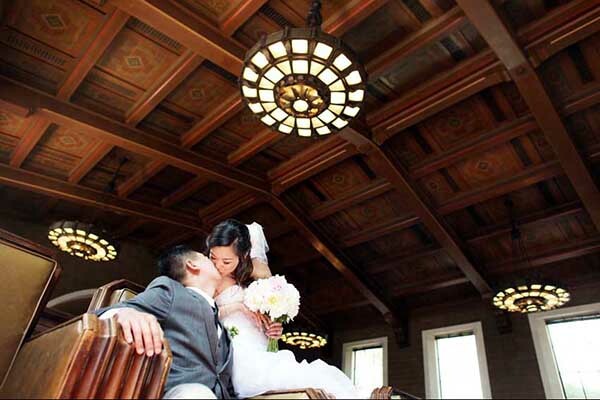 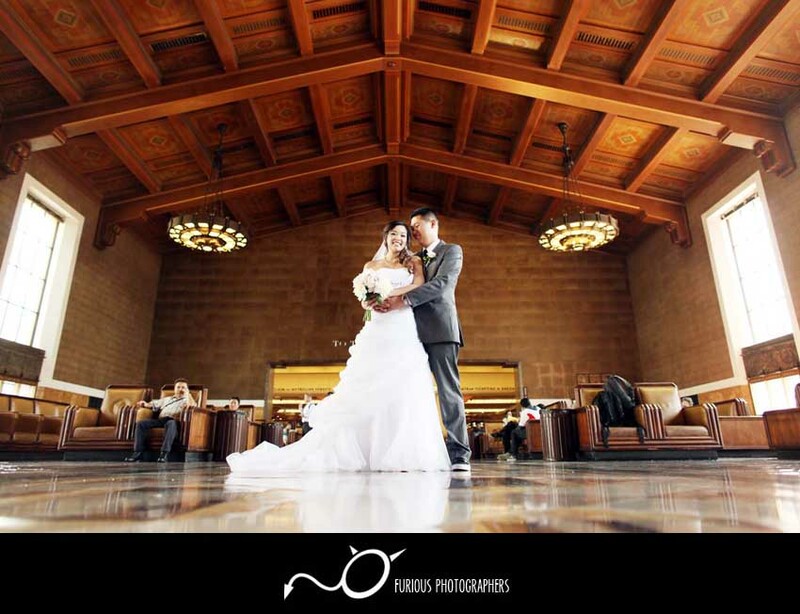 In this next wedding, it took place at beautiful Los Angeles Union Station and Studio 1342. 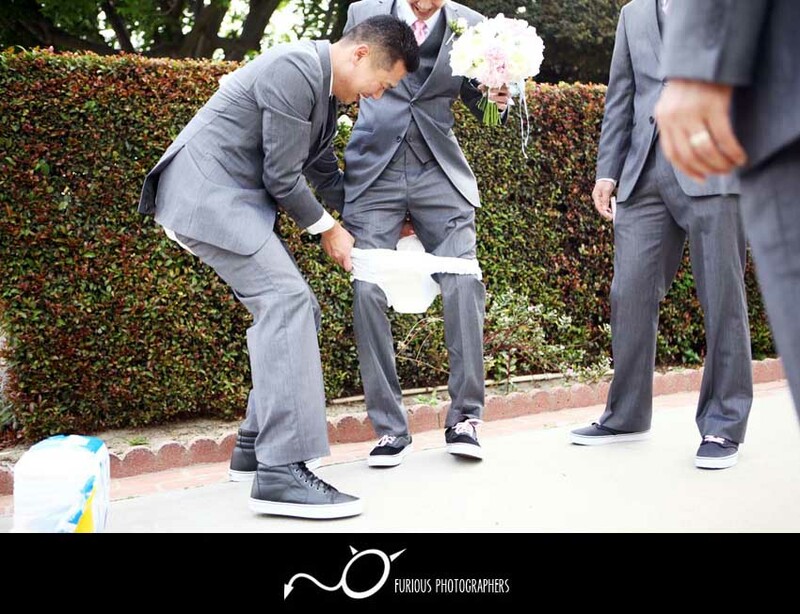 Lori and Tim are one hilarious, cute, and loving couple and their personalities reflected perfectly on their wedding day. 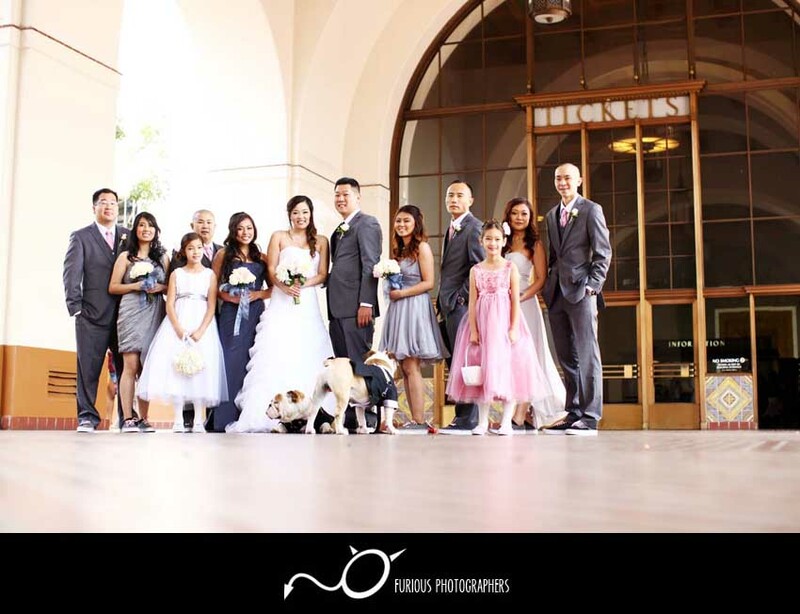 I knew Lori and her amazing family since we were kids, which made photographing this wedding extra dear to my heart. 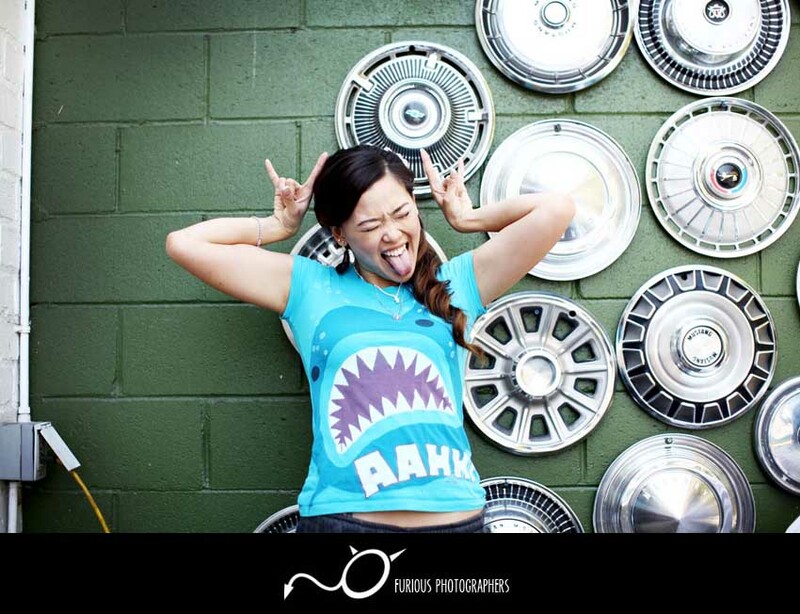 Ever since we were kids, Lori had a quirky sense of humor and even now, that side of her character has not wavered. 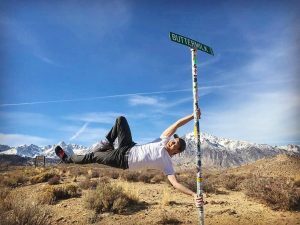 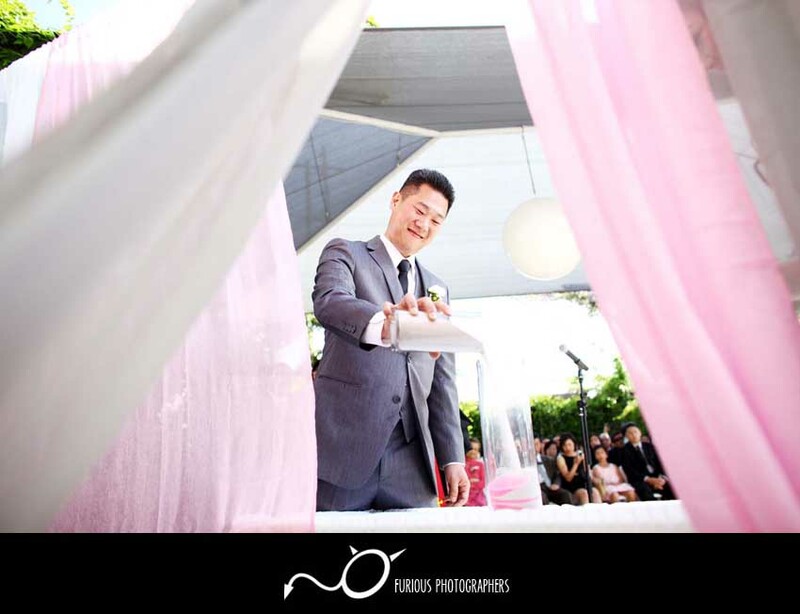 Tim is a perfect match to compliment such a personality with his quick sense of humor and one spontaneous outtake after another! 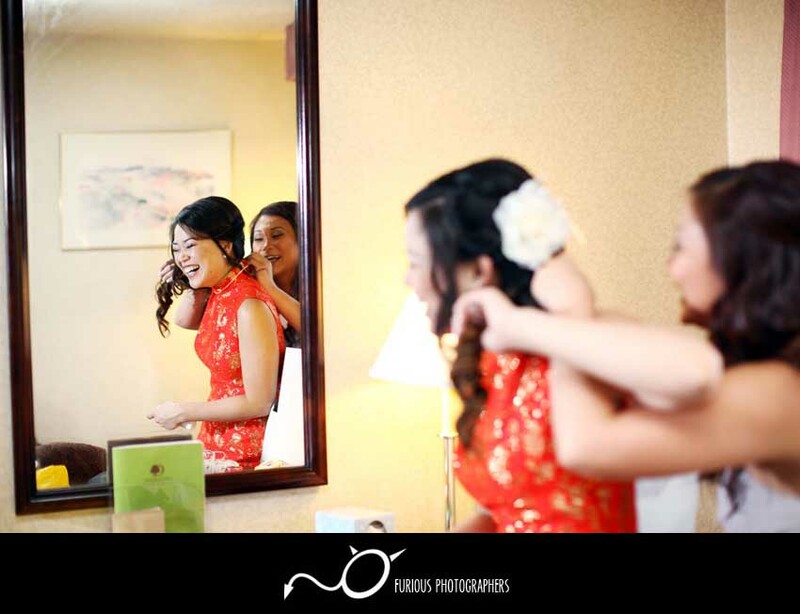 Lori and Tim started off bright and early at a local hotel to prep up and get ready for their tea ceremony to honor their parents and relatives. 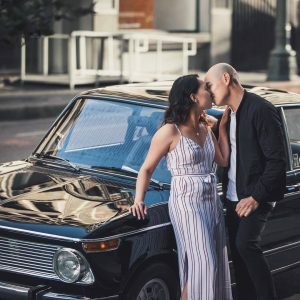 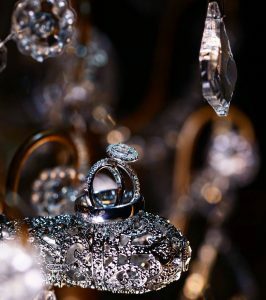 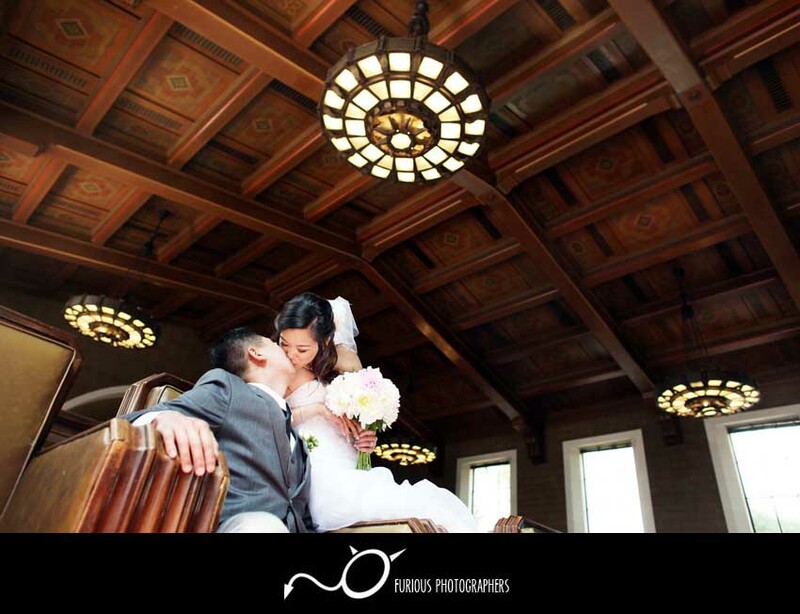 After the quick wedding tea ceremony, Lori wore her stunning white wedding dress and we all headed toward Los Angeles Union Station for their wedding photography session. 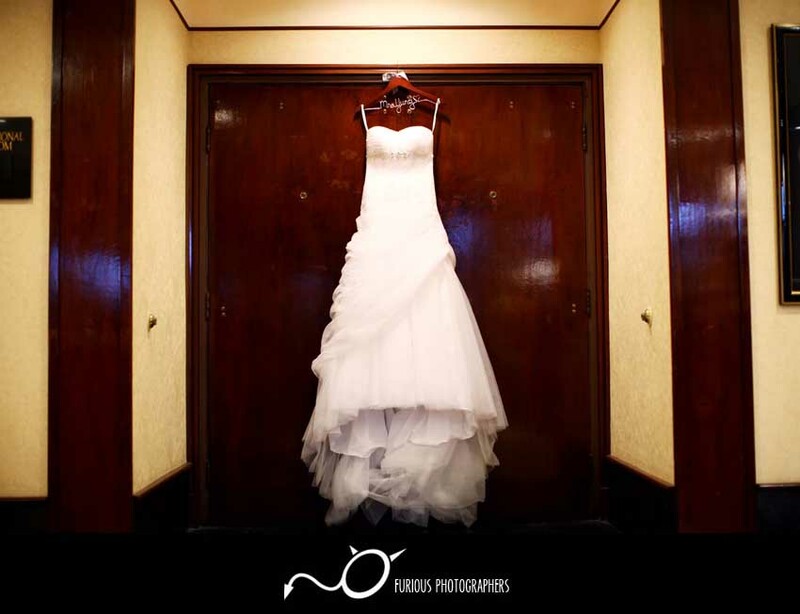 There is something empowering about walking down the halls with a wedding dress. 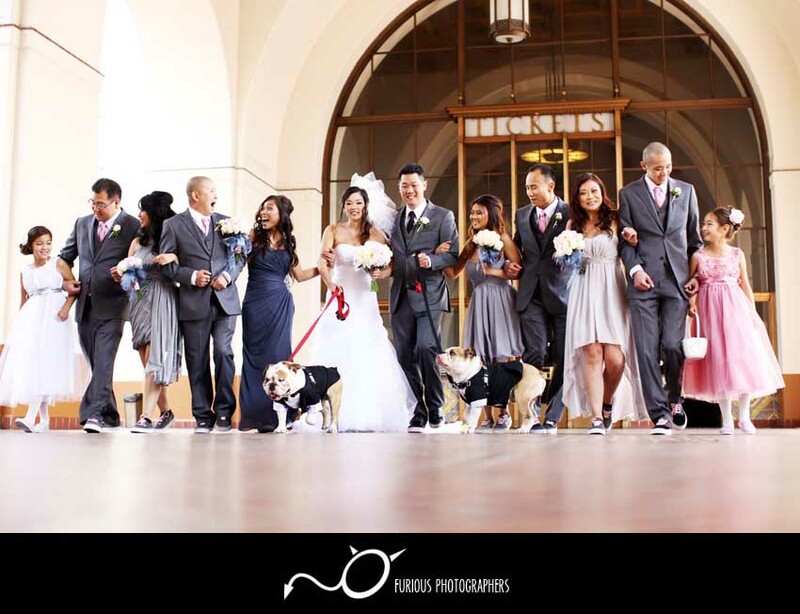 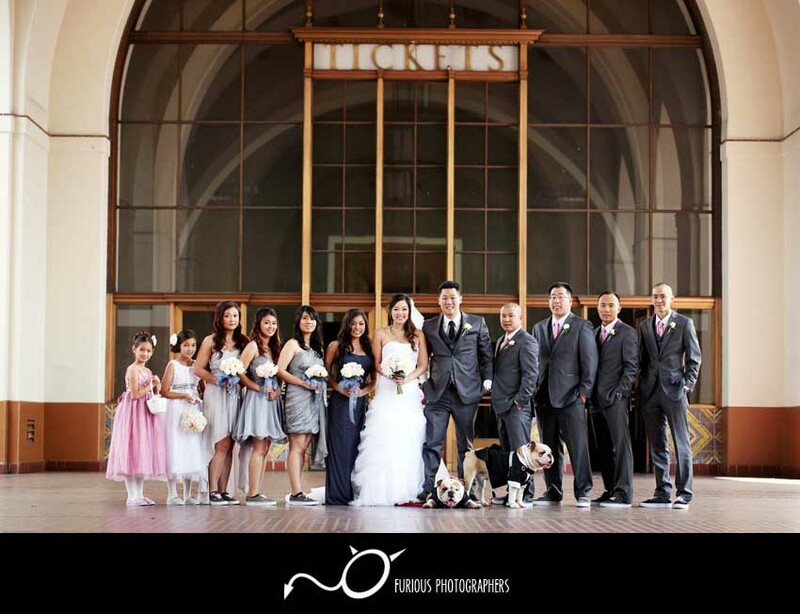 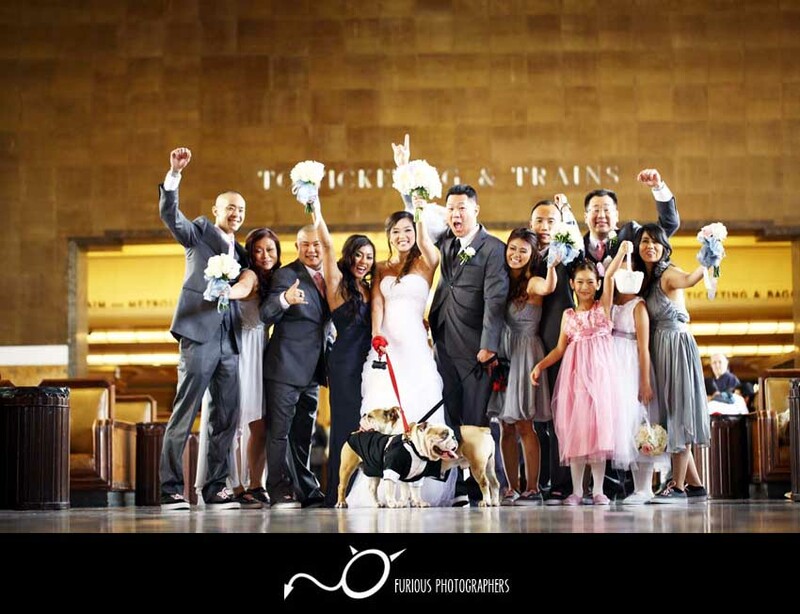 It brought a smile to all the patrons at Los Angeles Union Station and respectfully gave them the Grand Concourse during our wedding photography session. 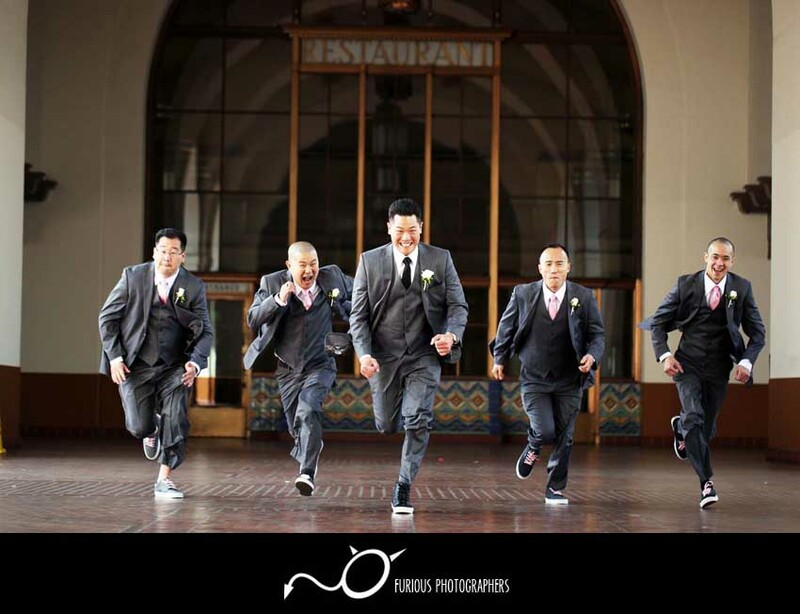 We quickly snapped on amazingly colorful wedding photograph after another, ran across the halls, and jumped for joy! 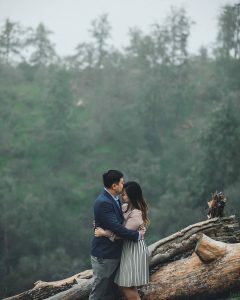 To spice up their wedding photos, we concluded the photo session at Los Angeles Historic Park nearby for some greenery and blue skies. 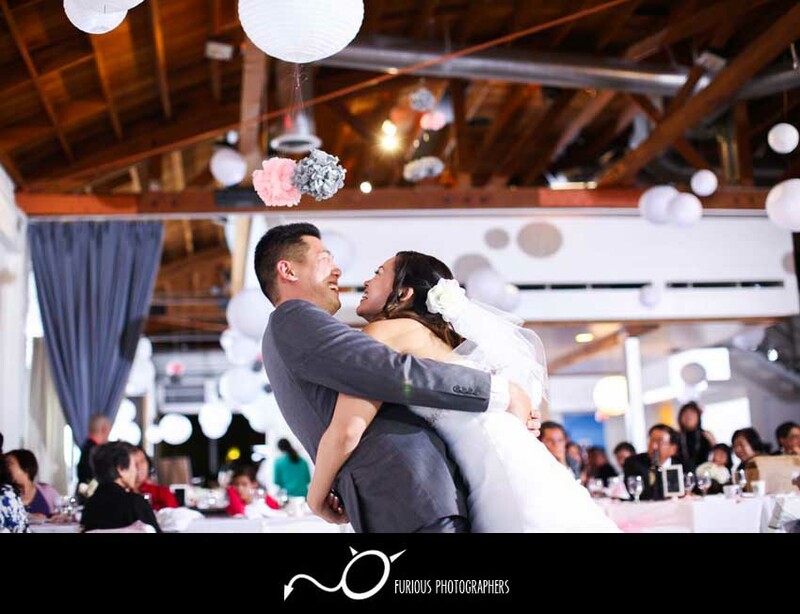 Once everything was wrapped up with a bow, we all caravan our way to Studio 1342 for their next wedding ceremony and reception. 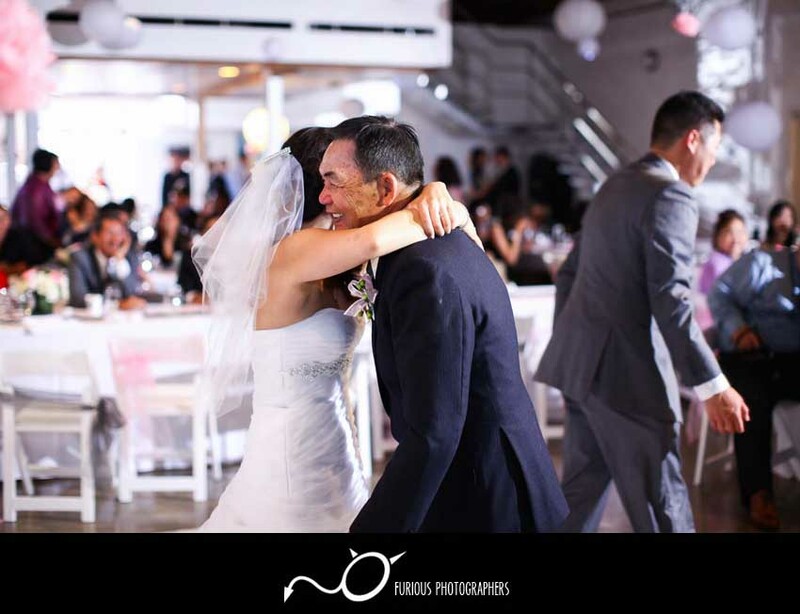 All the guests, relatives, and friends anxiously waited and fixed their eyes on Lori as she walked down the aisle with her father by her side. 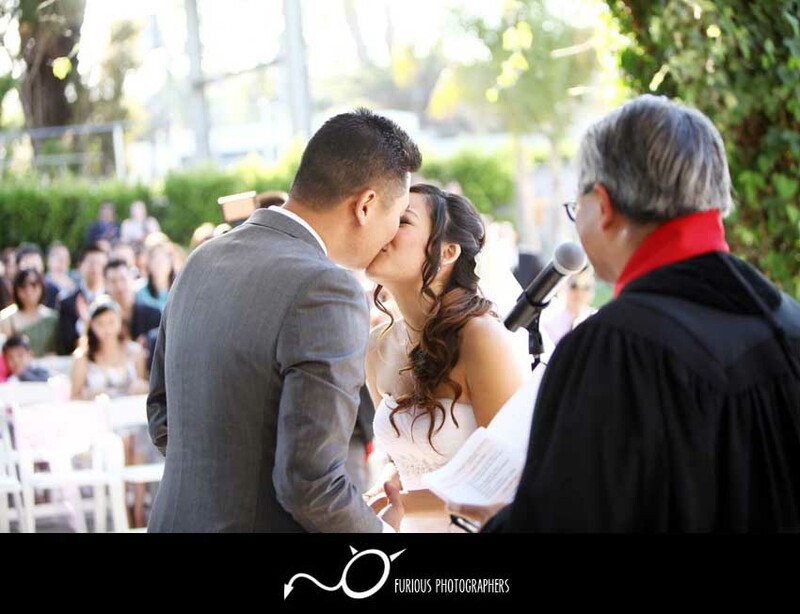 With a kiss to seal the deal, everyone went off and partied the rest of the night away. 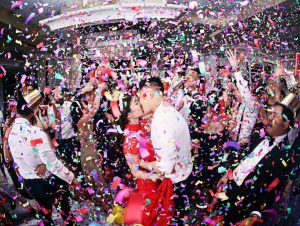 There were so many hugs, kisses, and laughter that filled the room the entire night. 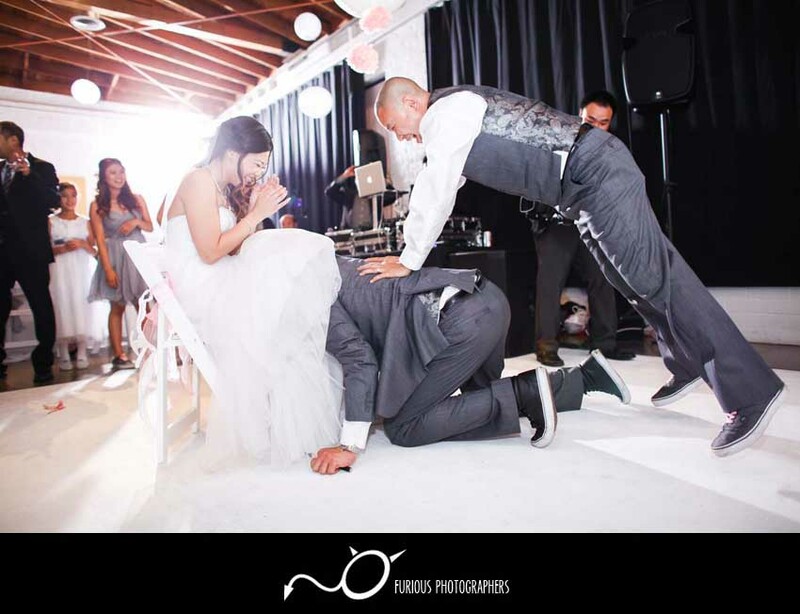 Some partied harder than others and no reservations were held during the festivities. 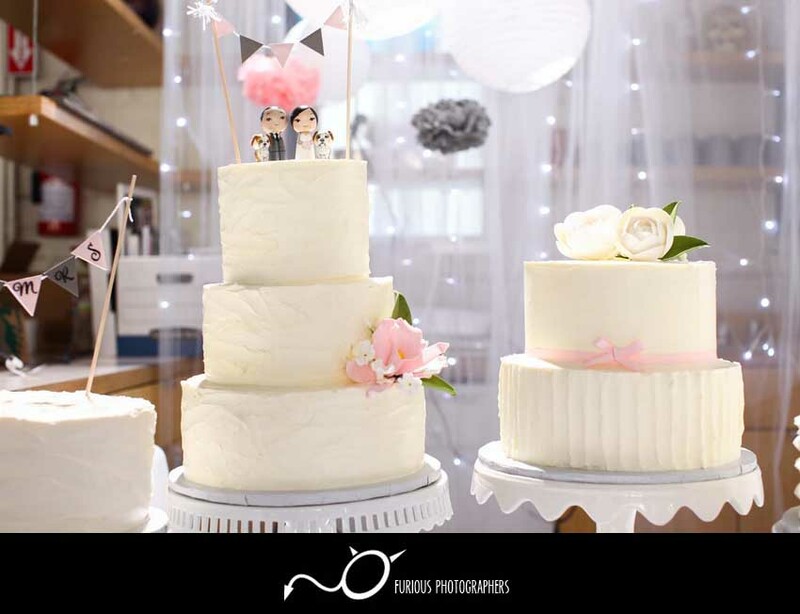 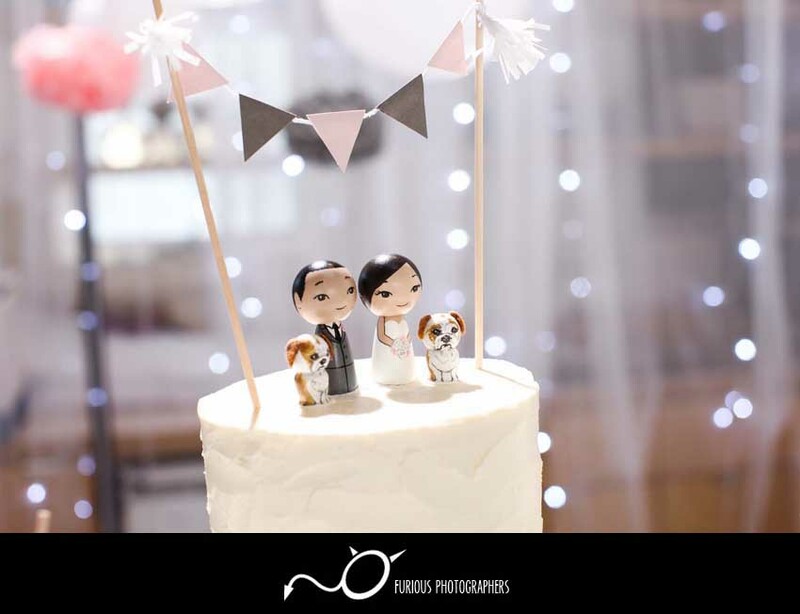 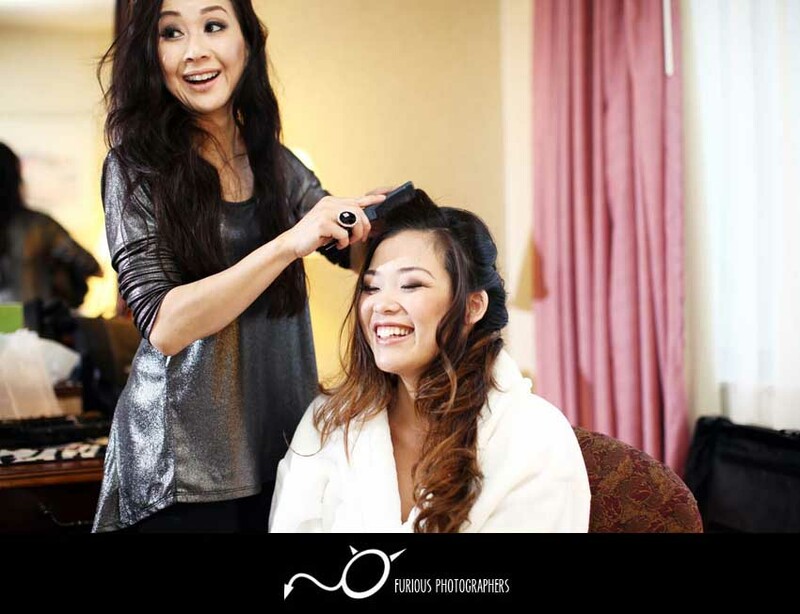 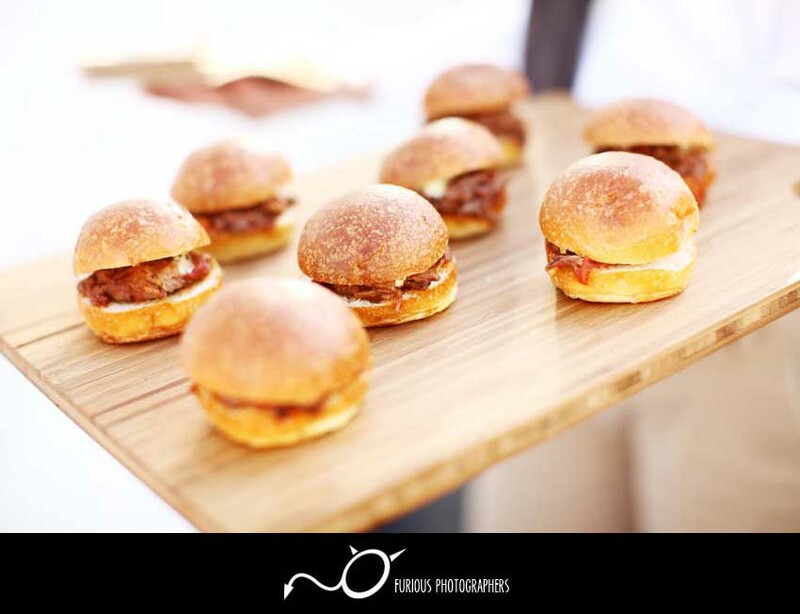 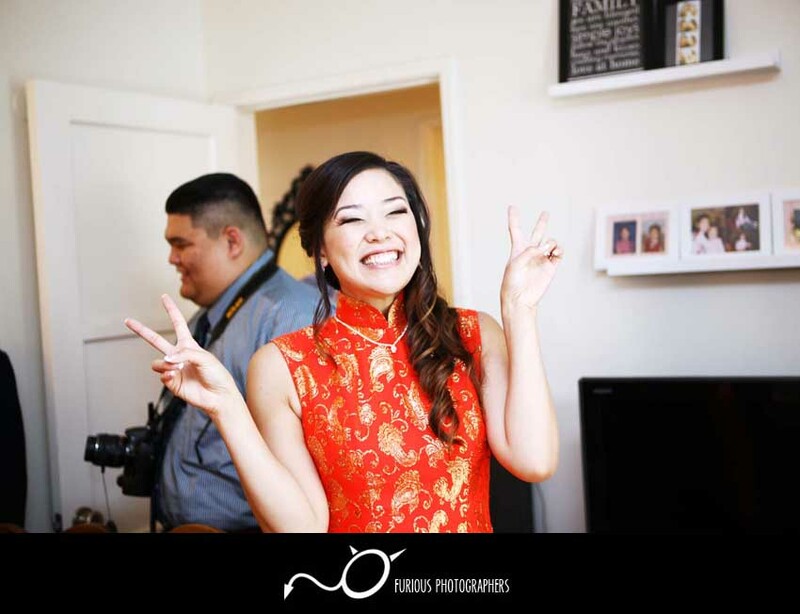 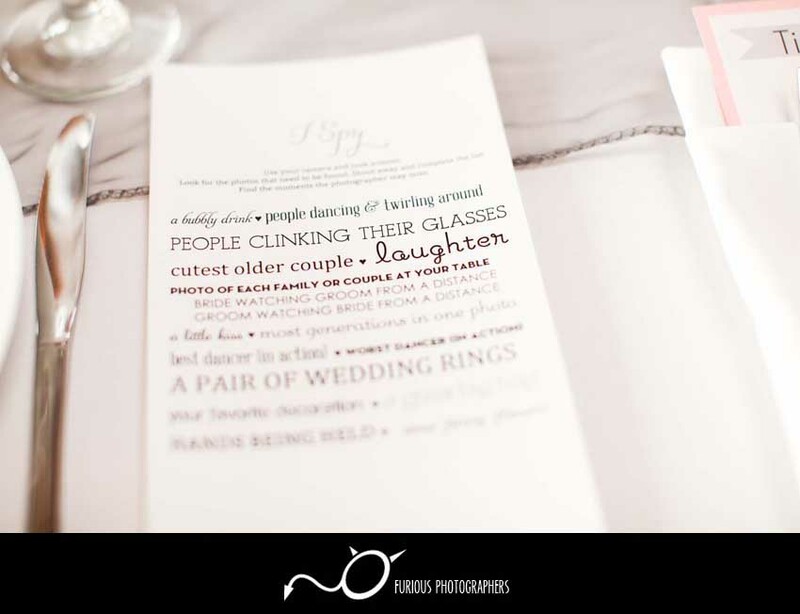 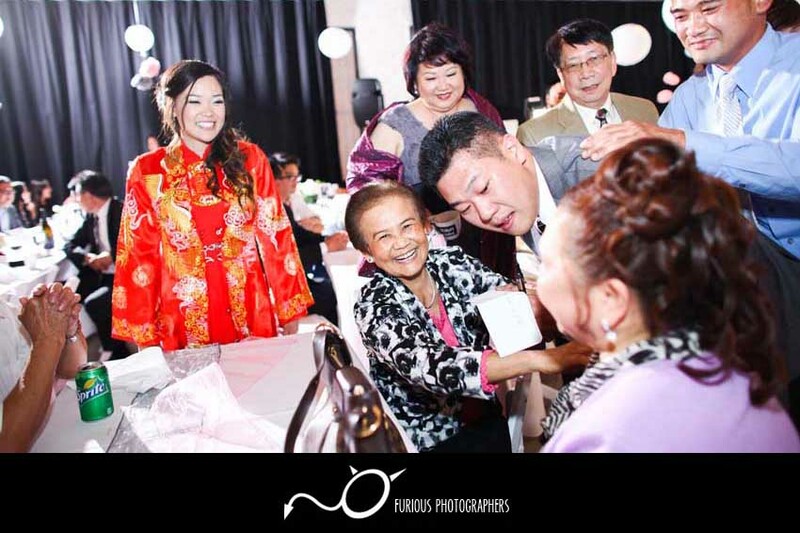 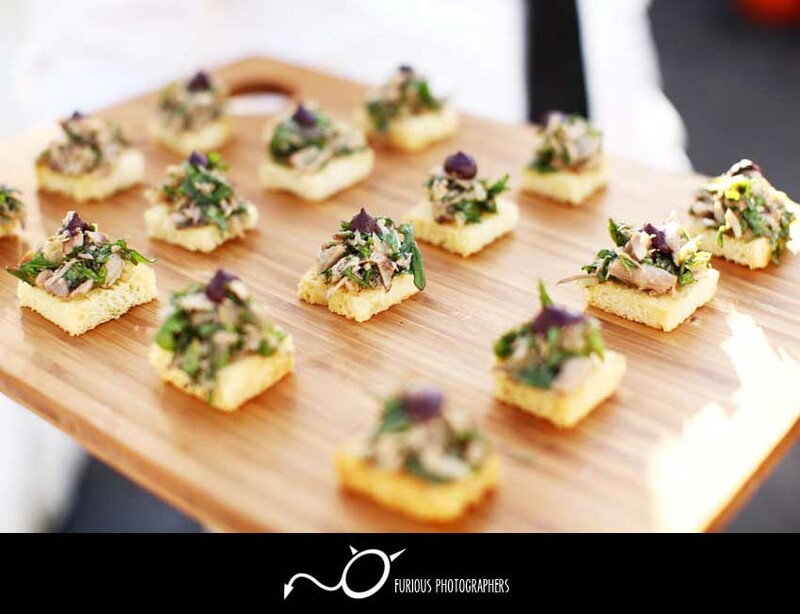 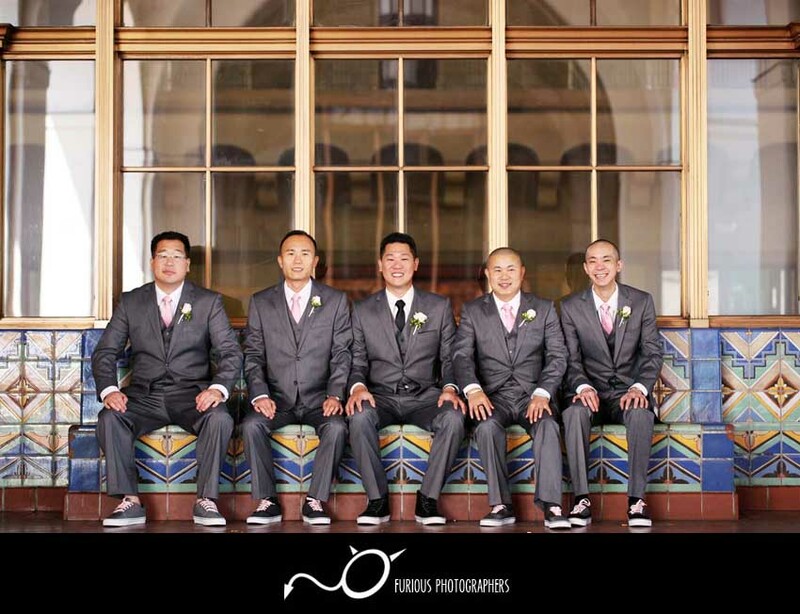 Kick back and enjoy the wedding photography highlights from their grand milestone! 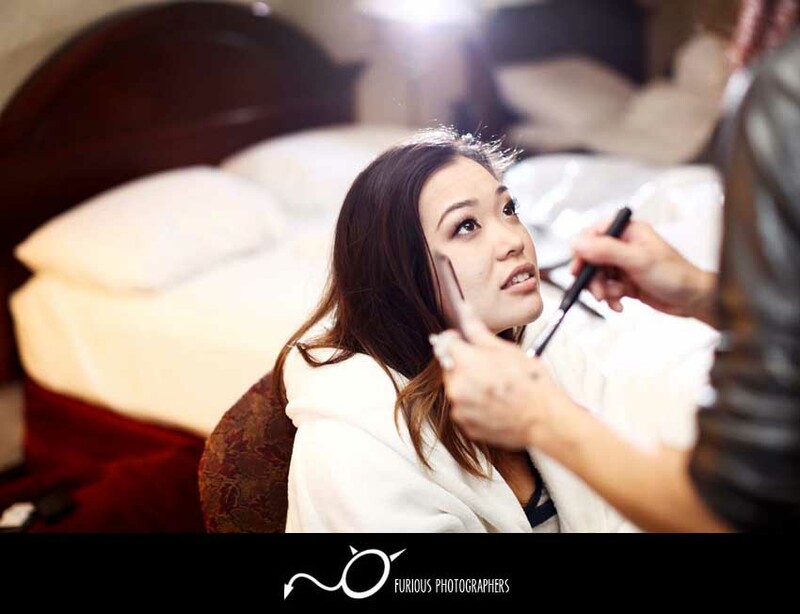 Lori imitating her lashes before the makeup artist put it on her. 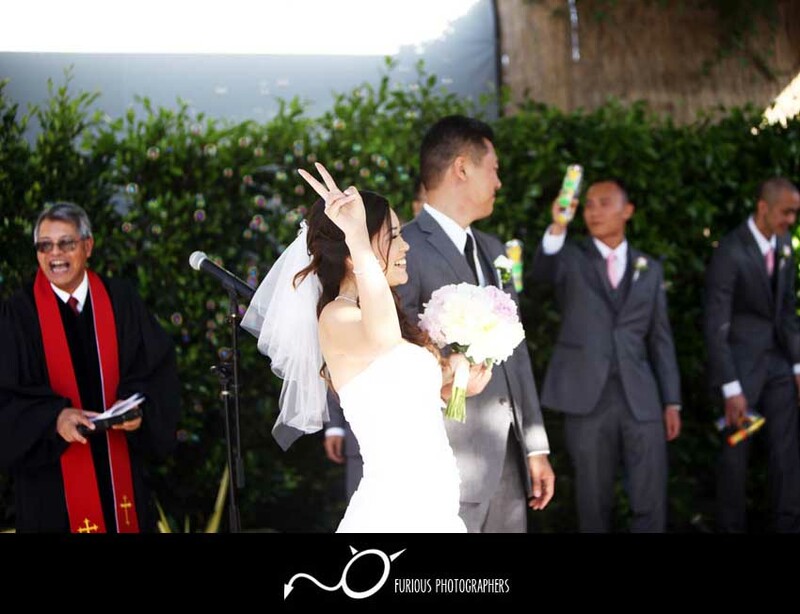 I told you she had a quirky sense of humor! 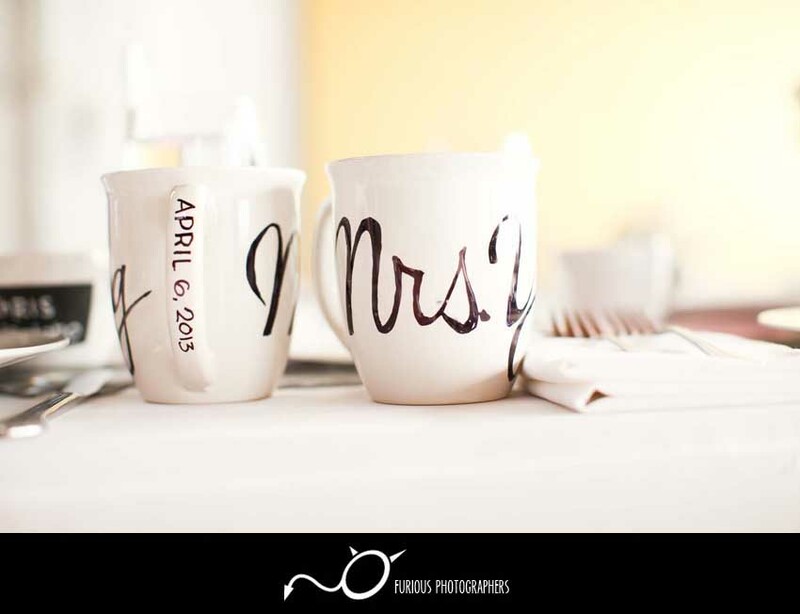 Time went the distance to get Lori in the following wedding photos. 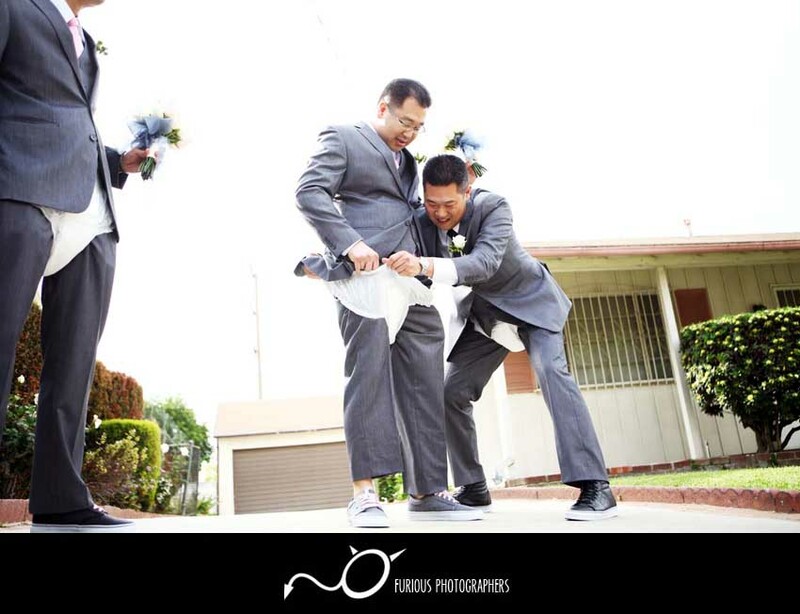 He had to put diapers on each of his groomsman to prove he is ready for fatherhood when the time comes. 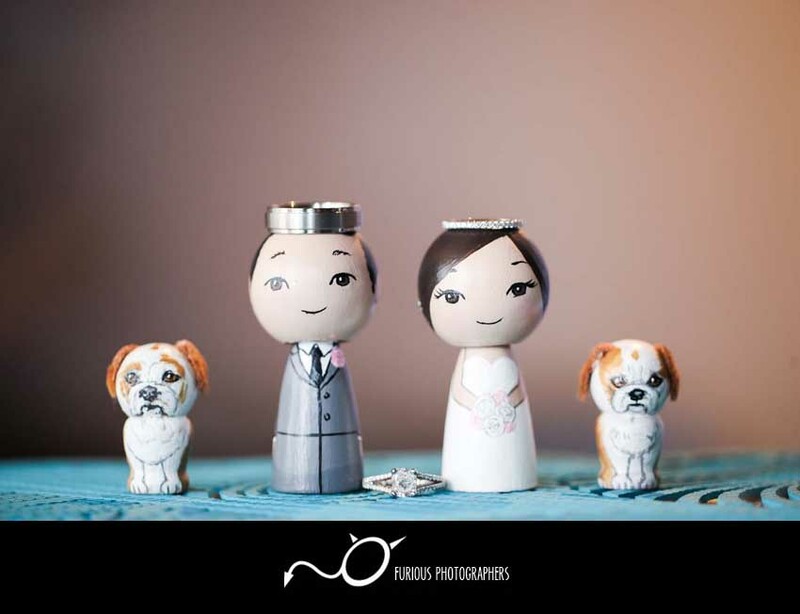 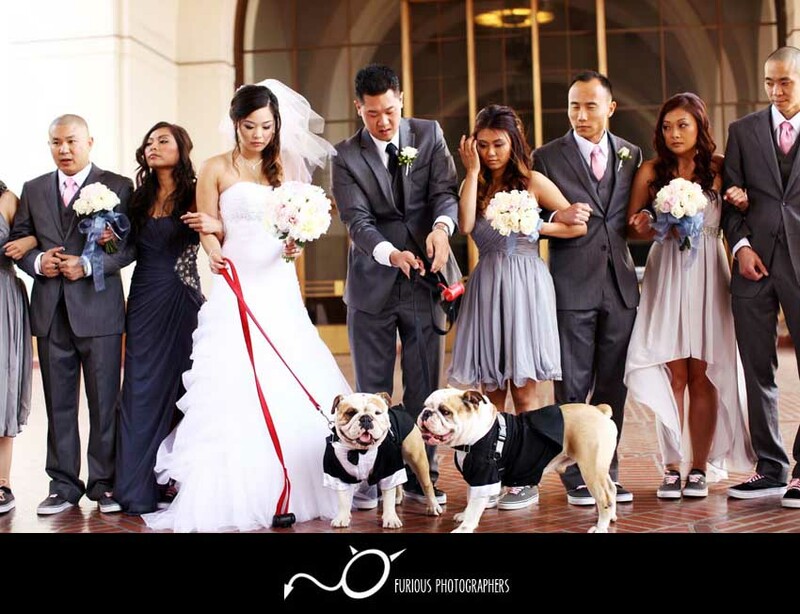 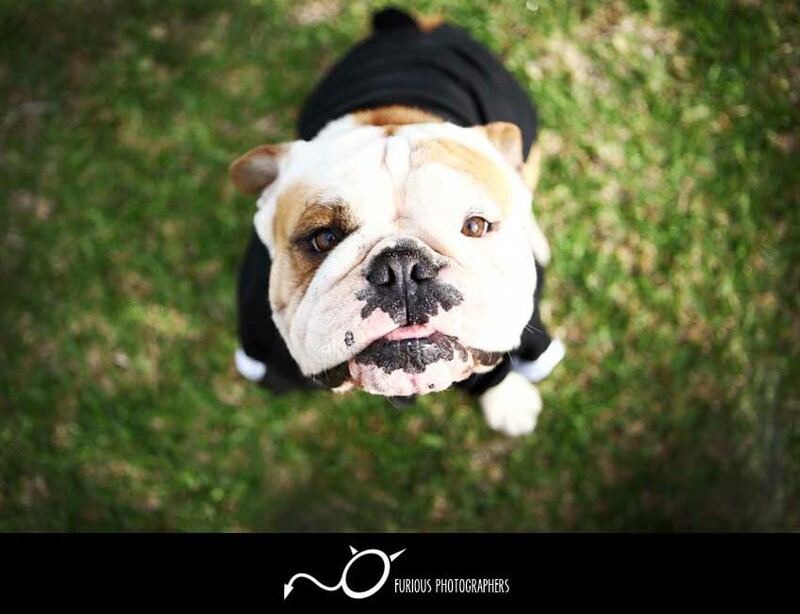 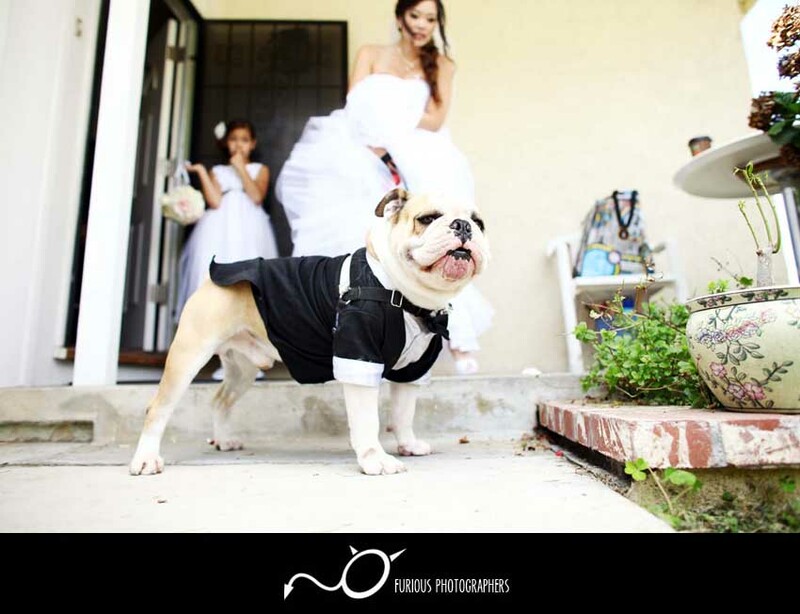 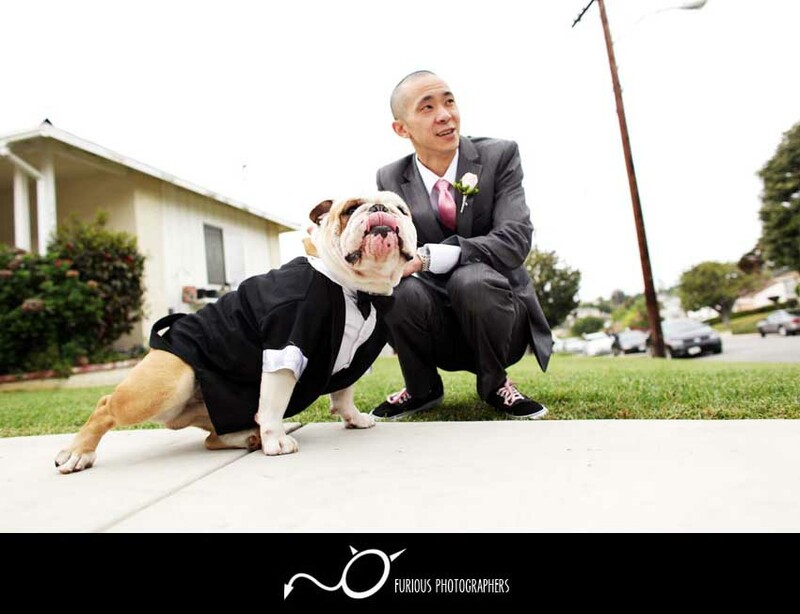 Check out their cute dog in his tuxedo! 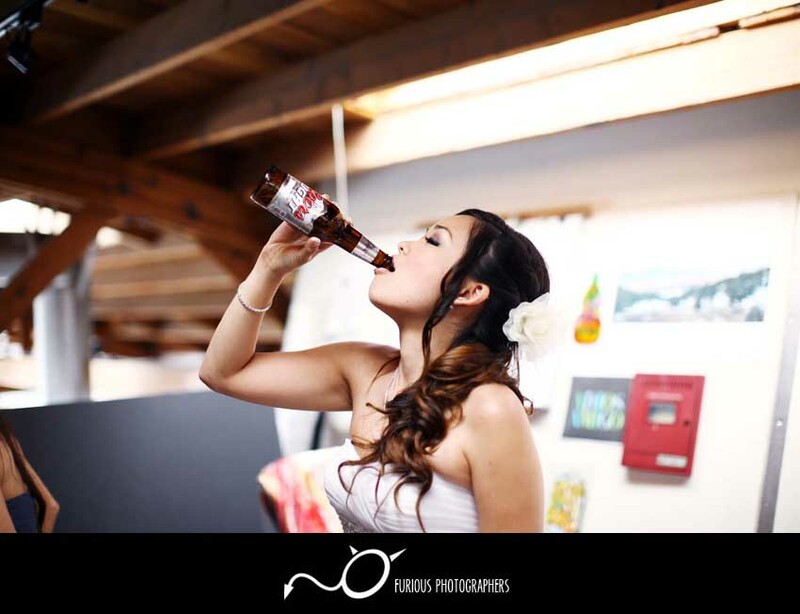 Lori let herself loose a bit after their wedding photography session. 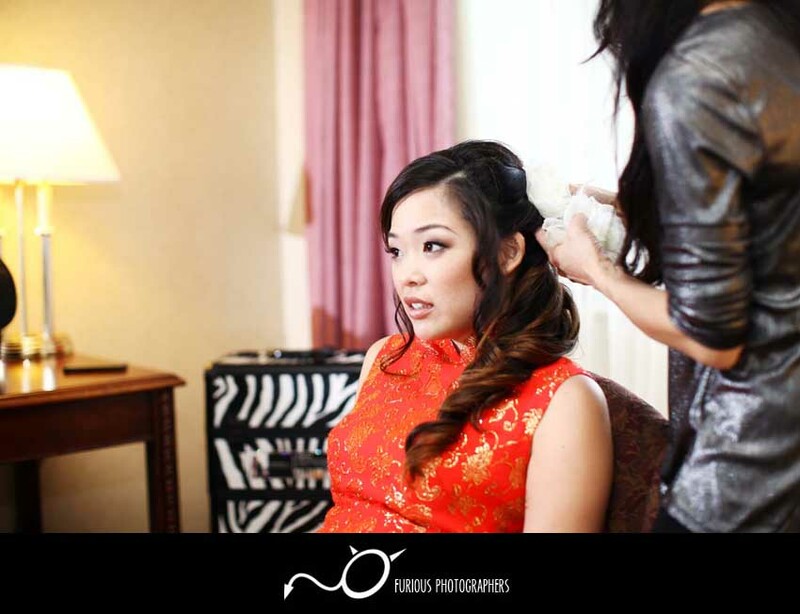 She kicked back in her normal attire before she had to jump back into her dress for the wedding ceremony. 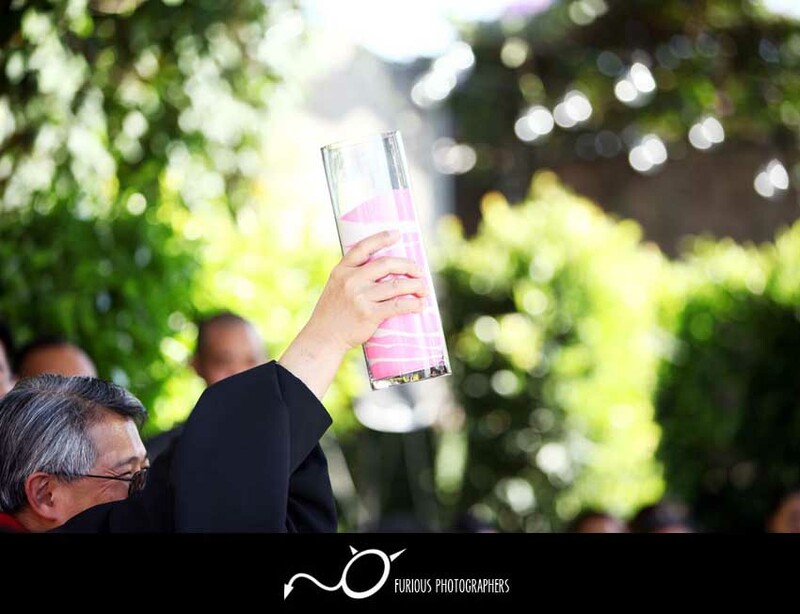 Let us get the party started!!! 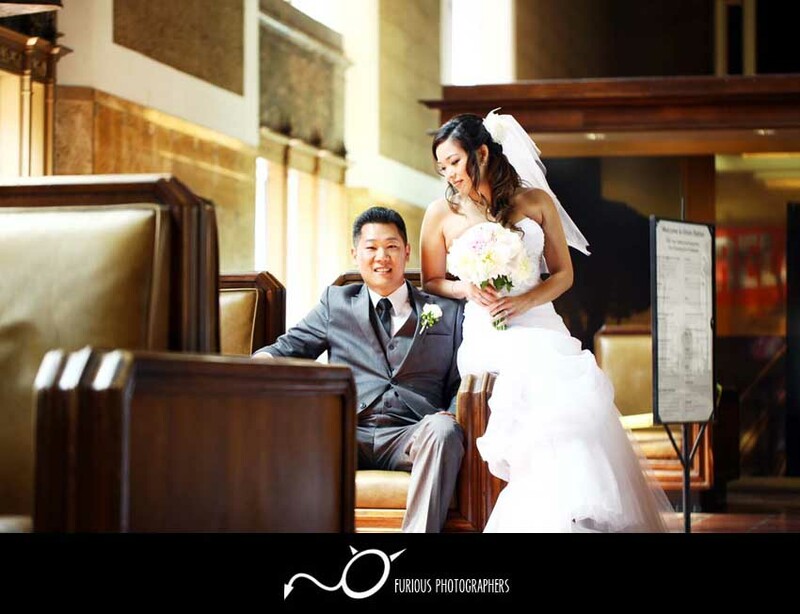 Congratulations again to the both of you, Lori and Tim. 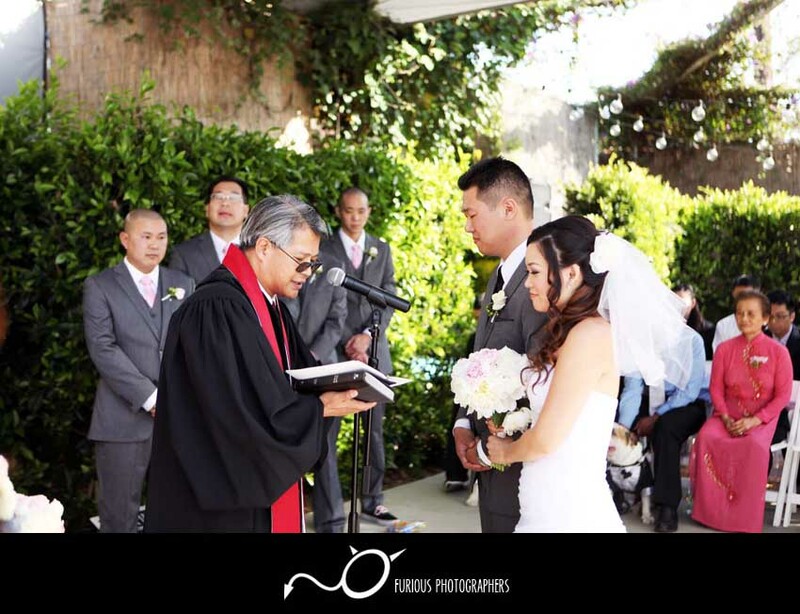 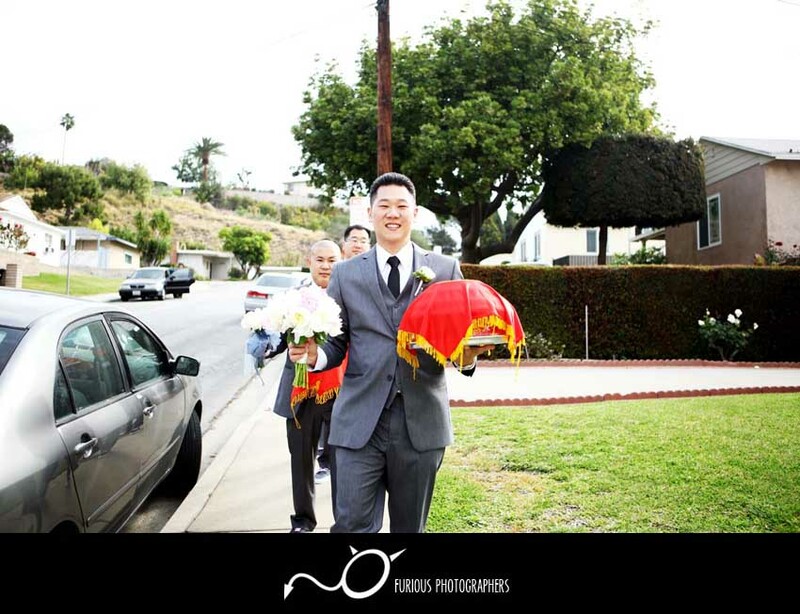 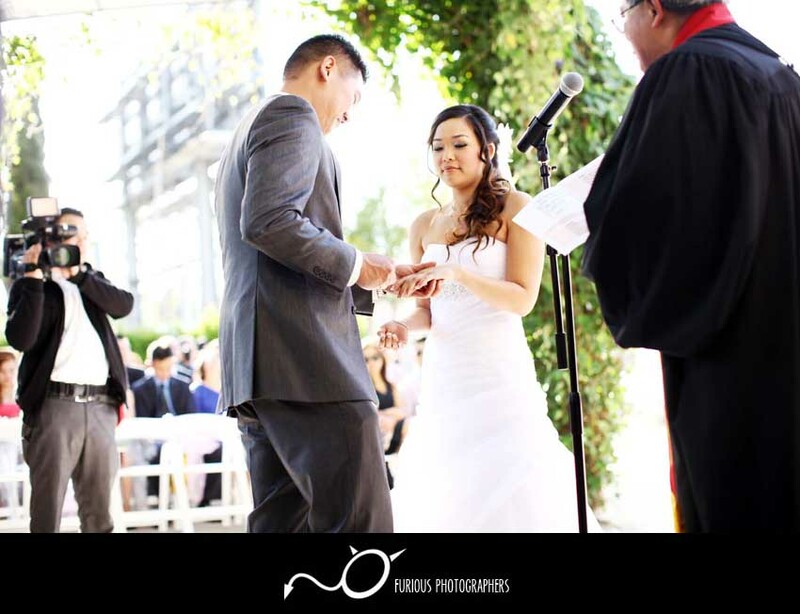 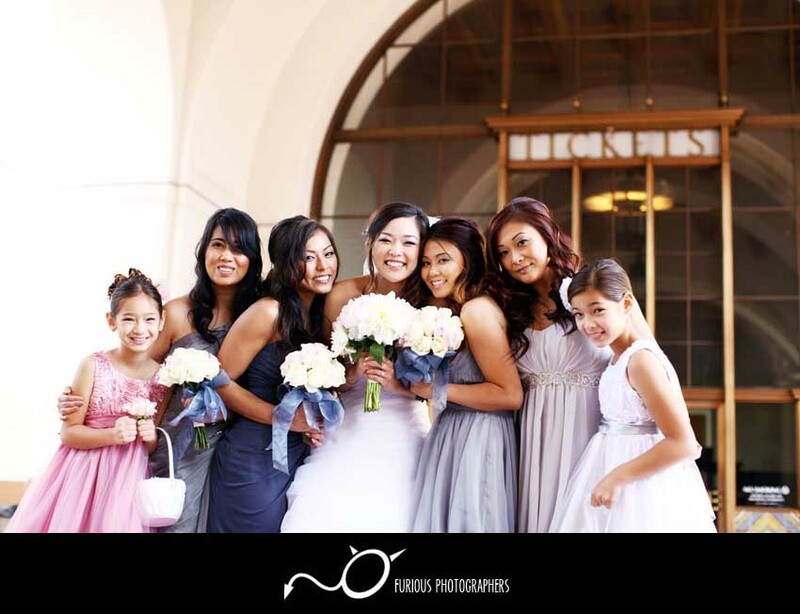 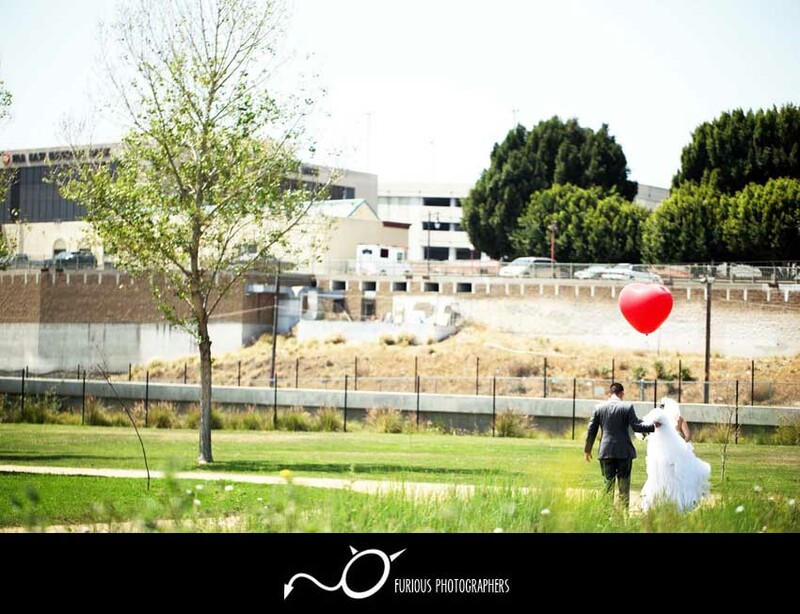 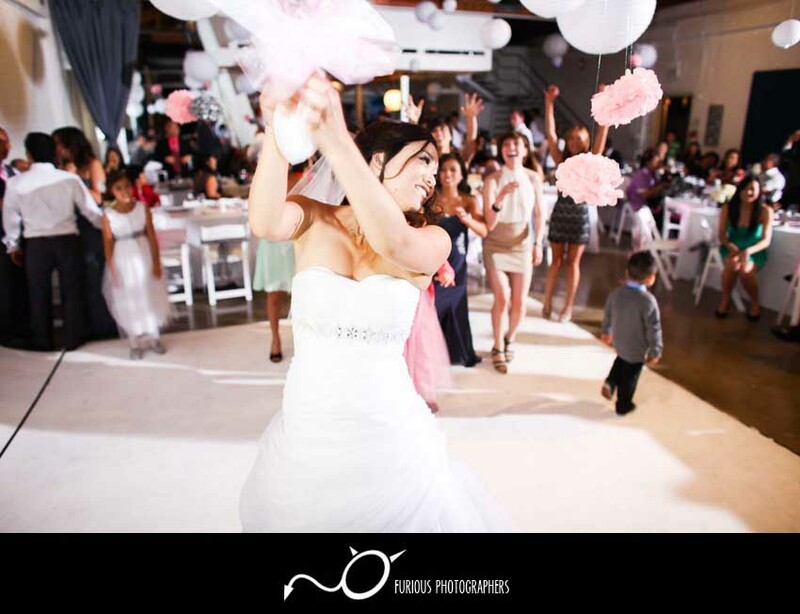 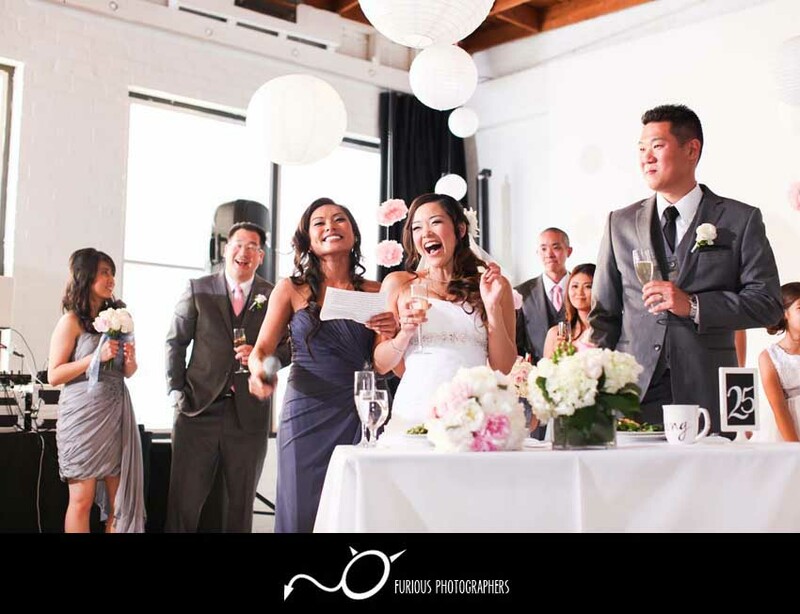 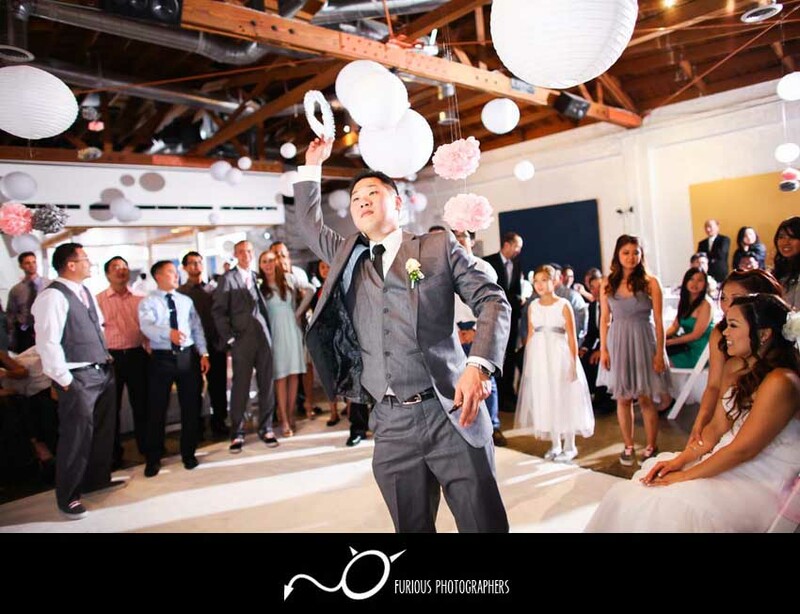 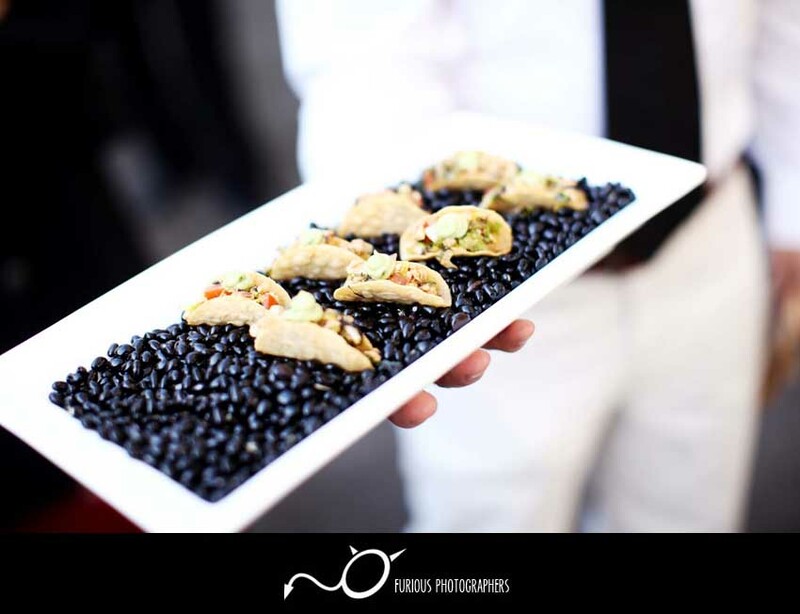 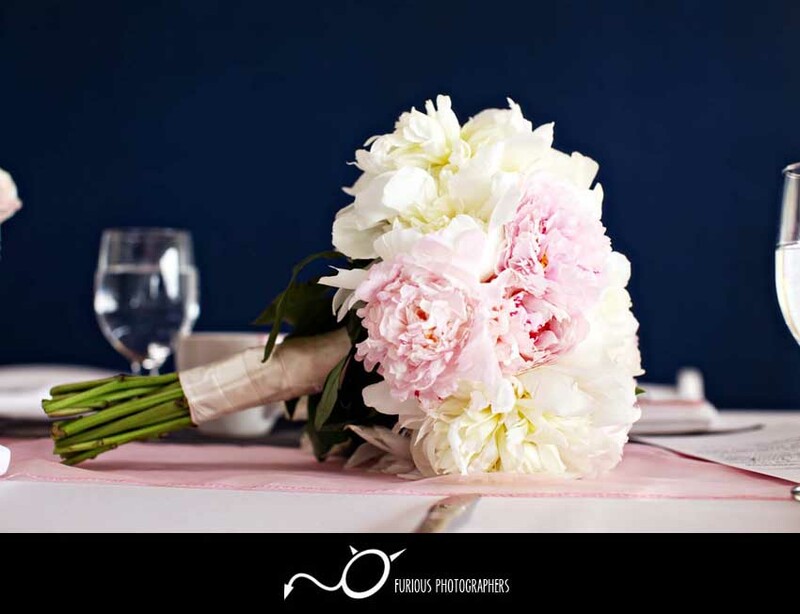 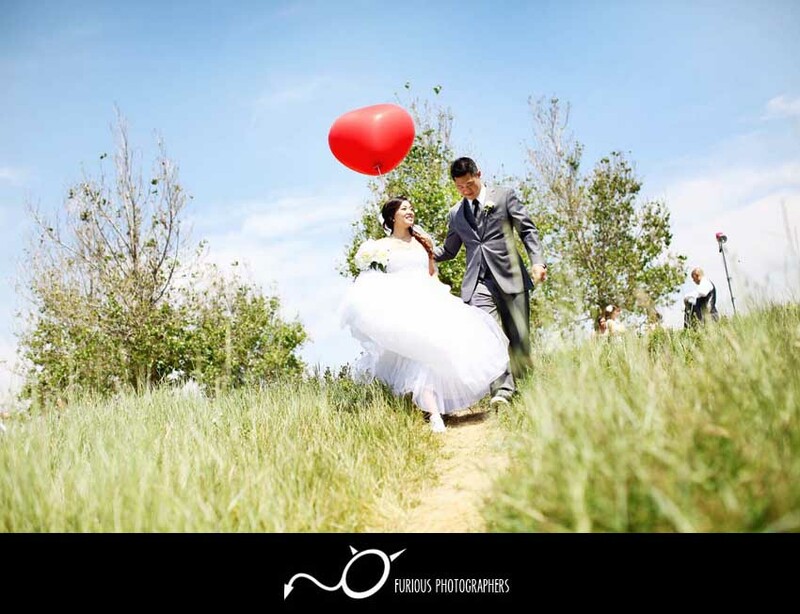 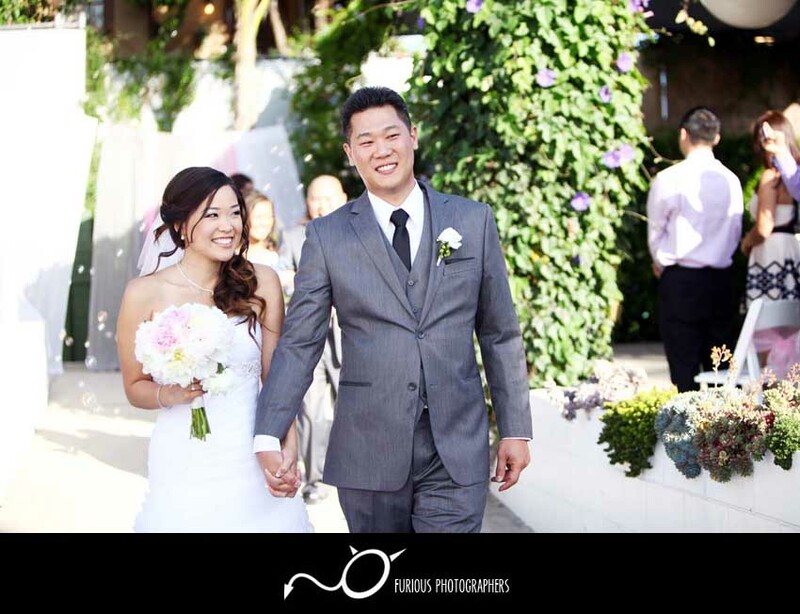 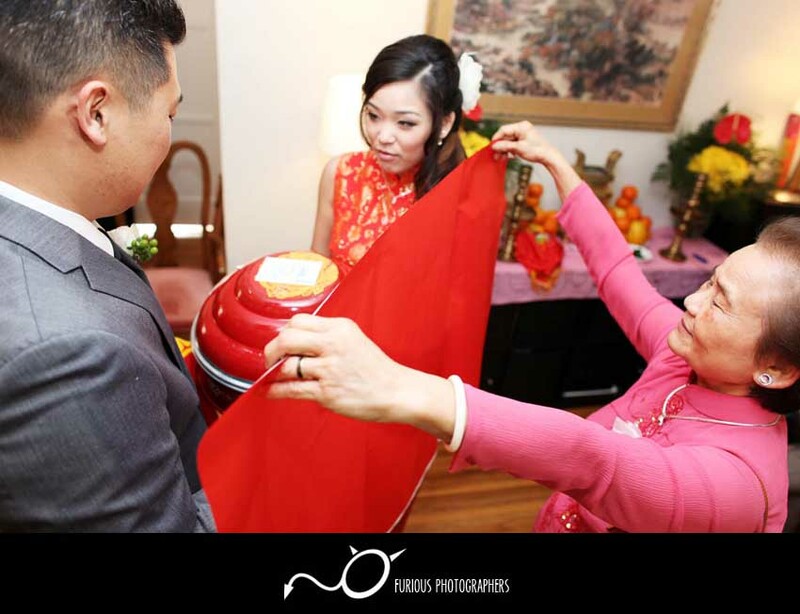 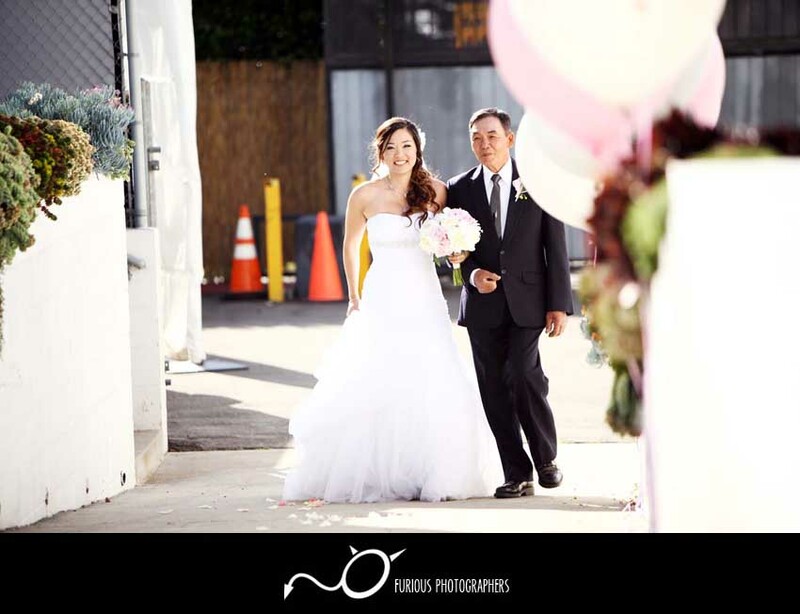 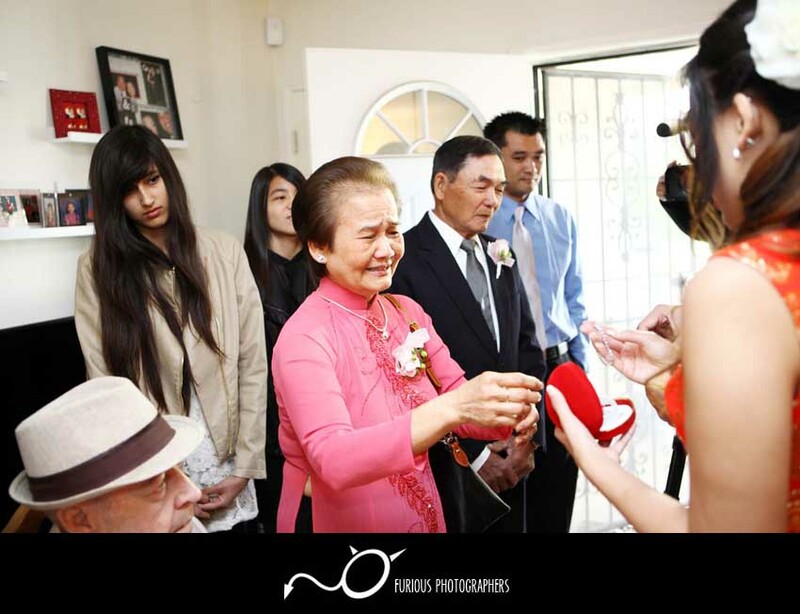 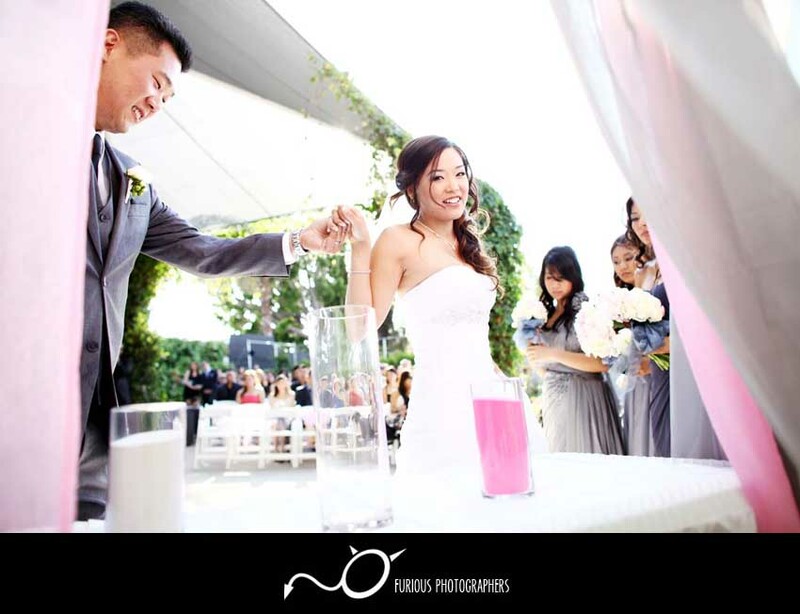 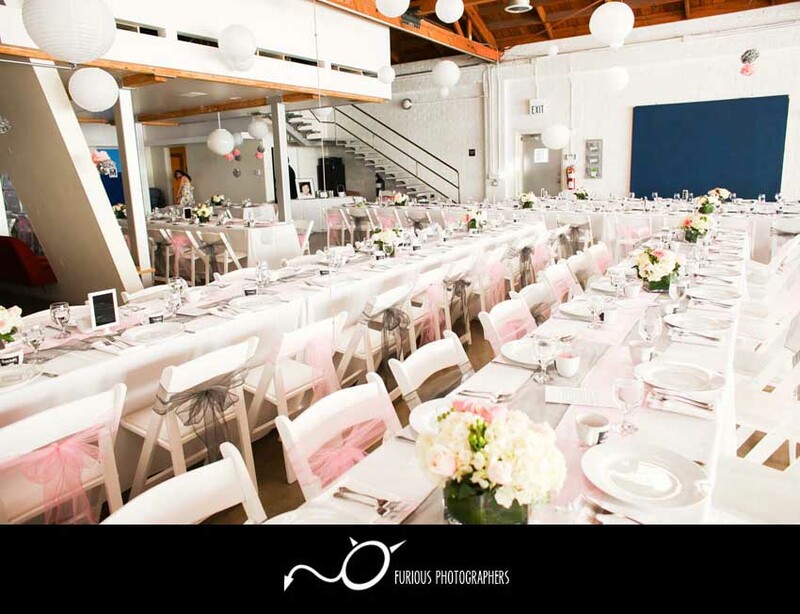 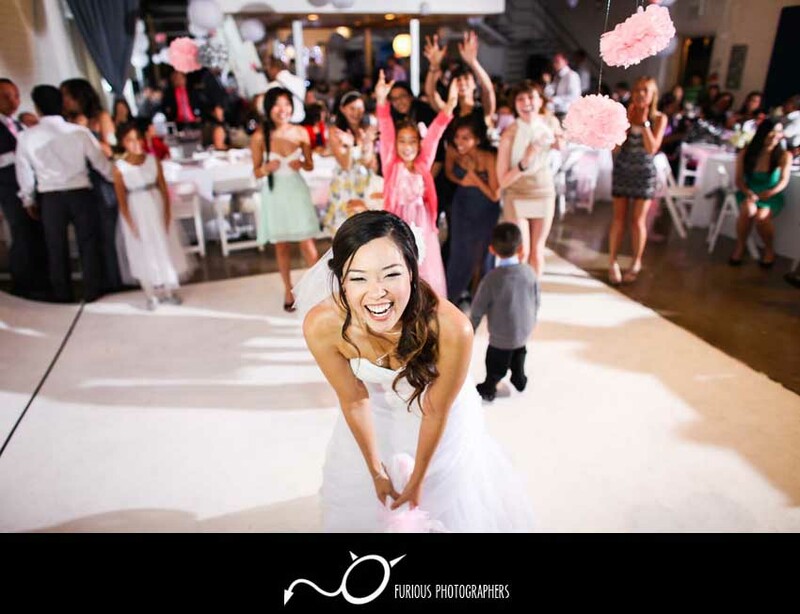 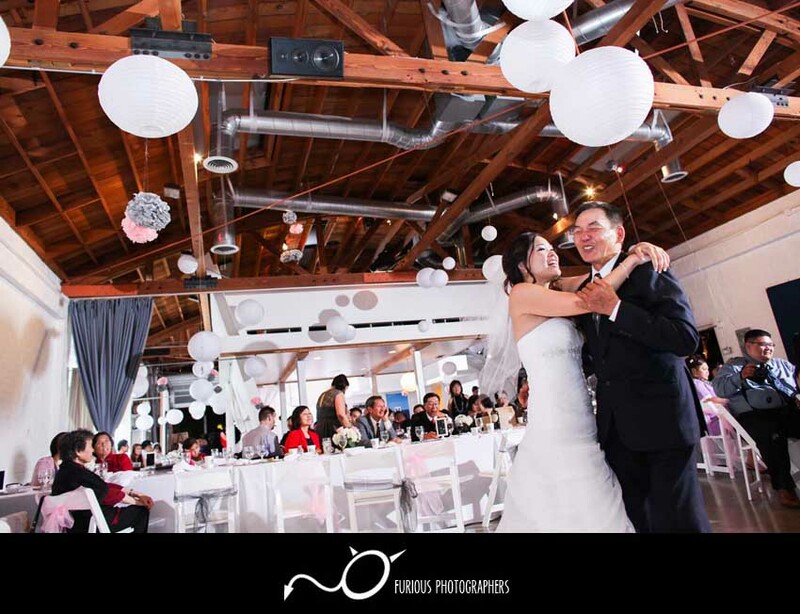 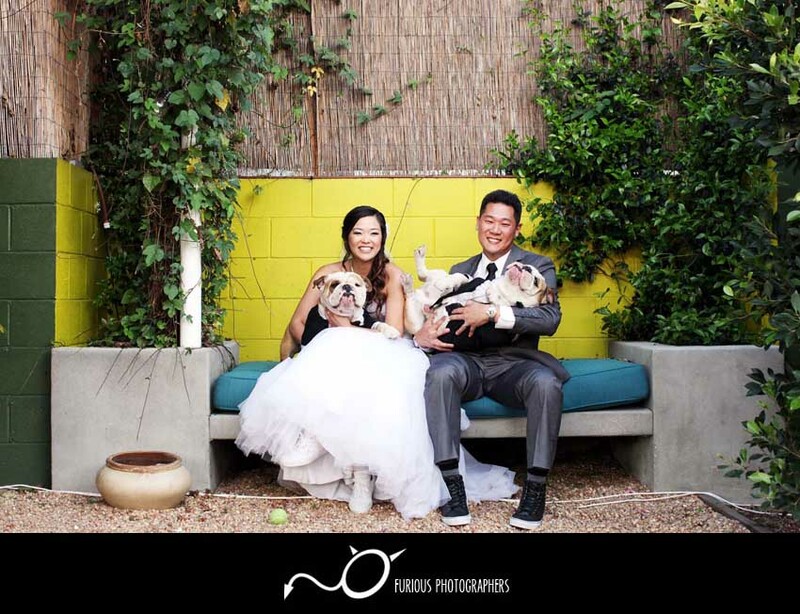 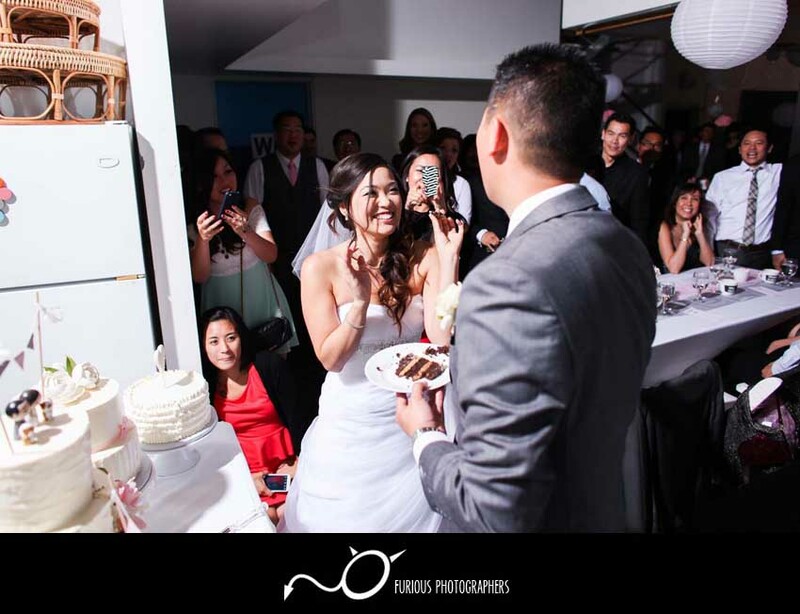 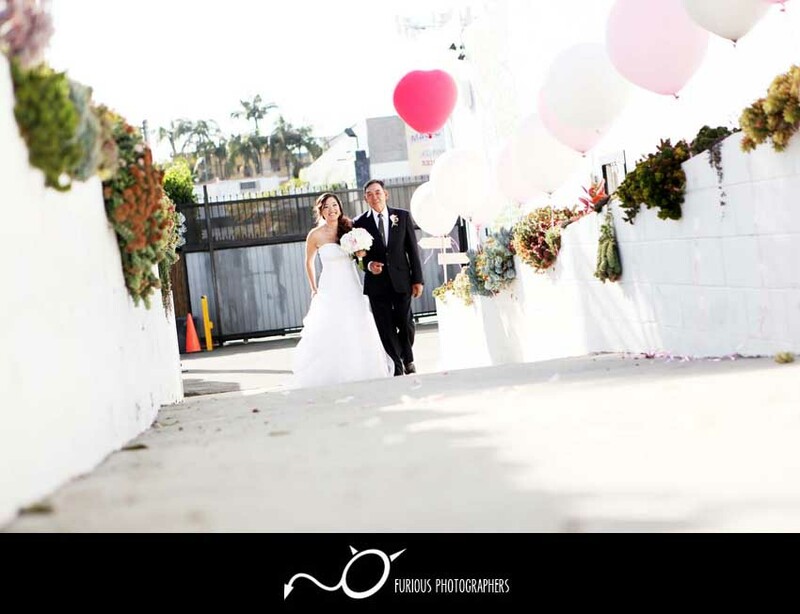 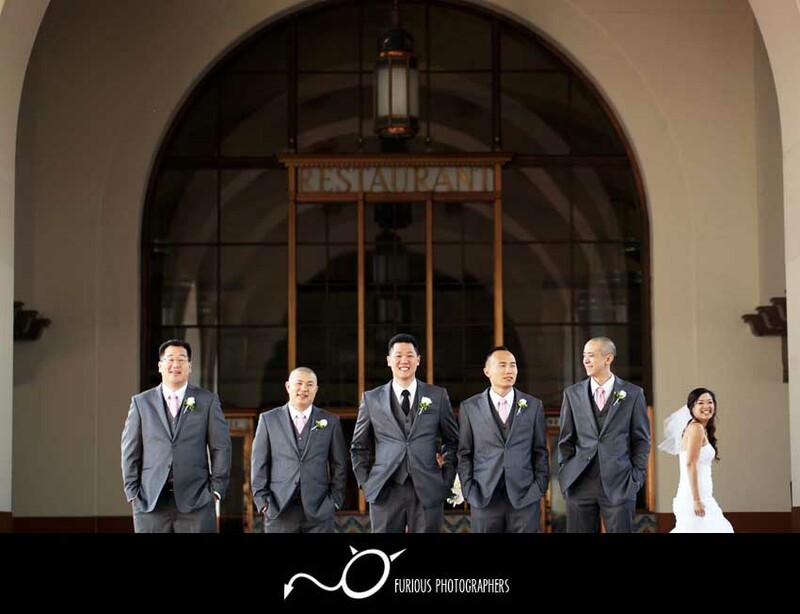 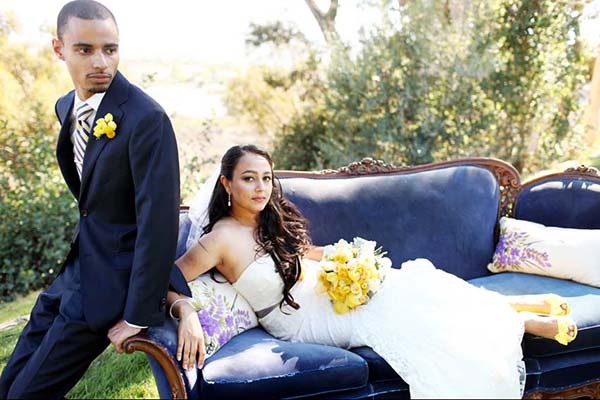 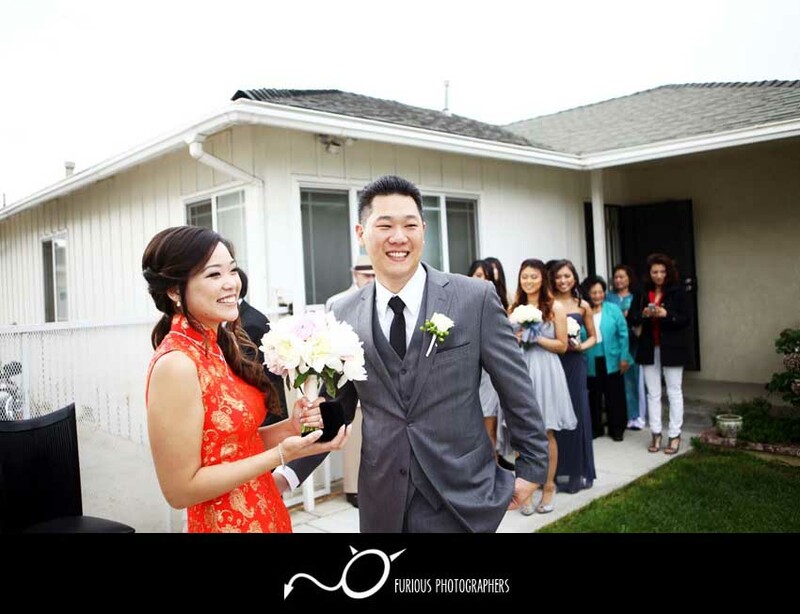 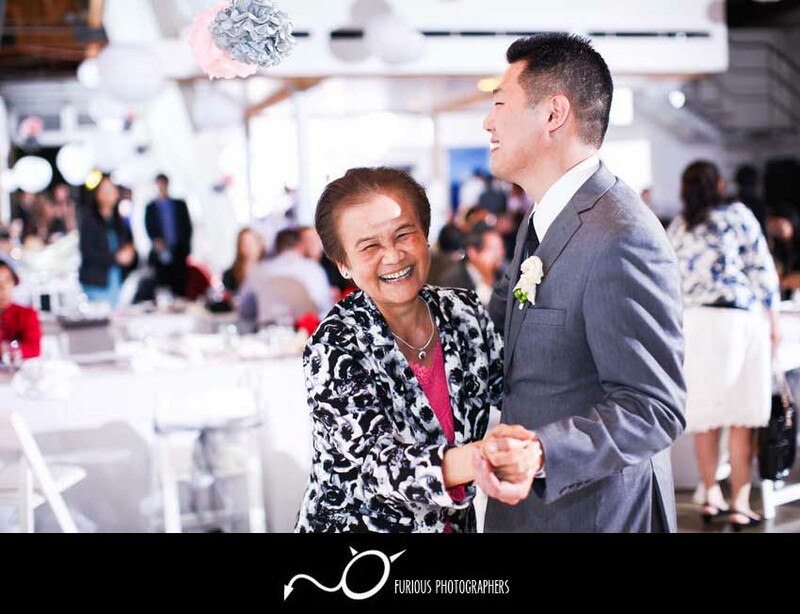 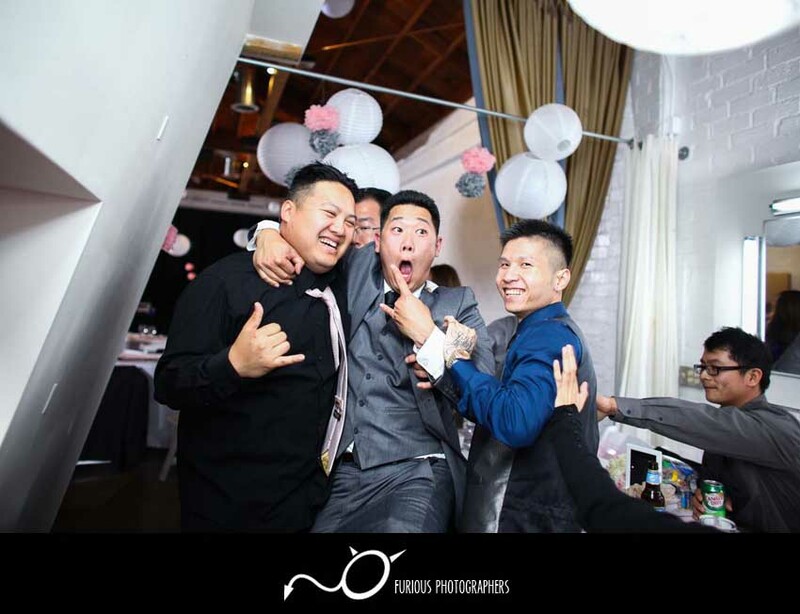 It was our honor to be your wedding photographers here at Studio 1342 in Los Angeles. 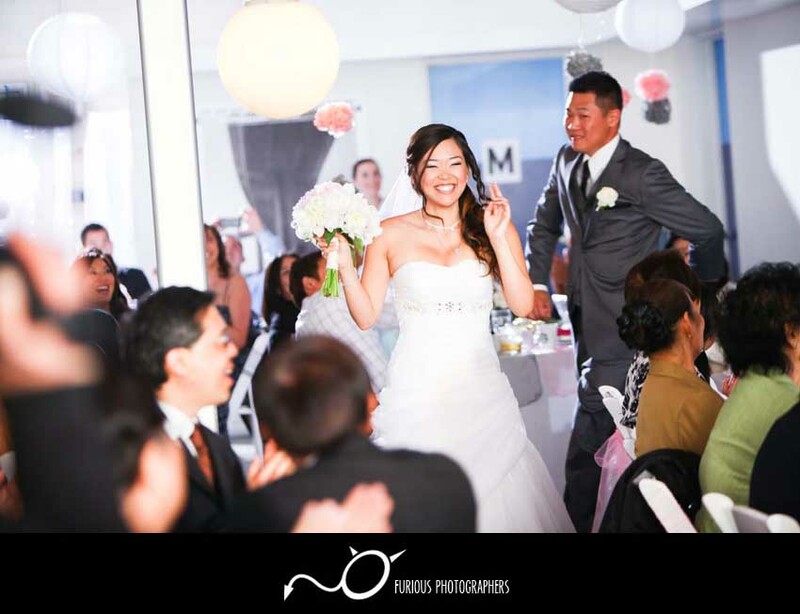 Your wedding was absolutely fun and memorable!